Teaching in the 21st century is evolving to be one of the most difficult human service occupations. With the ever-growing list of job expectations including: student health overseer, counselor, security guard, nutrition monitor, behavior manager, parental communicator, progress achiever, performance record keeper and oh yes did I forget to mention classroom teacher; the challenges to be a GREAT instructor are many. 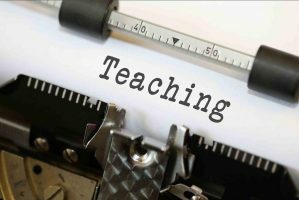 Now, it is true that the teaching responsibilities shift and change in relation to the level of education instruction one is involved in. However, no matter the age of the student, the quality of their education is often measured via the student-teacher connection. Therefore, the focus of this article will discuss why: New Age Teaching “Urges” Meeting in the Middle! Let me start with a quick story. Recently, I had the opportunity to hear a conversation among a couple teachers and custodial staff about how difficult it was to “reset” her classroom due to summertime construction. The room was all new and shiny… but the teacher explained her professional discomfort as she stated: “it will just be impossible to make it perfect like before!” My first instincts were to go over and suggest that there is no “perfect” anything. And then ask her what would happen if she asked the students how they thought the classroom should be organized? Could it be that their ideas might be insightful? Understandably, it was not my place to join the conversation; however, it offered a very small example of possibly creating a simple “Meeting in the Middle” opportunity. Strategically, let’s consider a development opportunity with regard to the New Age Teaching “Urges” Meeting in the Middle action by placing new emphasis on a different form of personal student responsibility. By student responsibility I am not talking about attendance, behavior and homework; rather, I am suggesting we directly ask them: “What do you want to learn from this class?” Then at the same time indicate to them that answers like “to graduate and/or get a good grade” would not count! Instead, as part of the Meeting in the Middle process, they would be expected to talk about/explain what they are interested in learning from a math, history or English class. Having ongoing discussions about their education and that they are and need to be personally involved/responsible would be a high value, continuous improvement activity. Their personal input DOES matter! Next, I believe New Age Teaching requires everyone to appropriately and regularly recognize the changes in education attainment expectations that have grown over the years. Today what I was taught in 3rd grade is probably being addressed in the first grade. Tenth grade learning information is now delivered in the 8th… and freshman college material is now part of the dual enrollment system in many high schools. So our education expectations have gone up/changed… but has the learning capacities of students? Think about it. Yes, via technology advances and social media the exposure to knowledge and information has gone up tremendously. But what about the need for related experiences to improve learning comprehension and abilities to truly use the new high level of knowledge/information? Asking too much too soon for those growing up with traditional learning expectations (i.e. from their parents) may not be a formula for guaranteed improvement. I believe successful teaching in the 21st century will be enhanced by our ability to use a two-way street of learning expectations voiced by both the student and the teacher. Teachers should take advantage of creative discussion about what the students expect to learn about a specific subject… and why. Teachers would have the good fortune of learning more from and about every student and students would experience a new age partnership they are building with teachers. The intent is not to introduce a new curriculum or lessen learning expectations. The goal would be to have students be encouraged to voice their learning expectations as an alternative means of being personally responsible for their education. The work-based need for a new age teaching partnership and expanded student-teacher conversation is not driven only by technology and learning advancements. The need for this extended conversation is also brought about by the changes in family structures. Historic two parent families are not the standard anymore, therefore the expected personal life-learning discussions delivered “in-home” in the past may have become a dinosaured priority in today’s households. New Age Teaching “Urges” Meeting in the Middle. Students and teachers face a reality that despite all the technological advances and increased educational expectations, a student’s LEARNING DIGESTIVE TRACT has not grown quickly enough to compensate. Therefore, it is even more necessary to meet students in the middle with discussions of learning expectations, understandability of shared progress and why teachers should want and need to learn more from students too.